When someone think of doing an MBA course the first thing that comes to mind is: It's high fee. It is not long back until Distance Education took a boom in India, MBA courses used to be very expensive. MyBskool.com took a step forward in India & started a free Online Mini MBA program. Today we're featuring this course on our website & will tell you how you can join this course, so read the post carefully & we'll revel the admission process within this post. 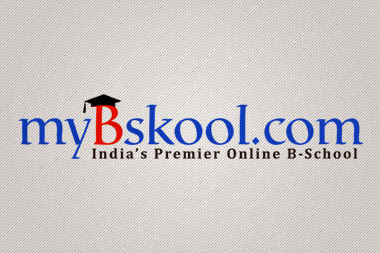 MyBskool.com was founded by Dr. Swaminathan K, who is a serial entrepreneur & a man behind some successful business ventures including martlearnwebtv.com, Aspire Learning, SuperKidz, Scholars League. He was also a part of the core team of egurucool.com, which is India's first online education portal. Currently the portal is offering various diploma & PGP courses through online learning, Mini MBA is just a part of it. Online Mini MBA is a 100 days non-credit program. The program has been designed to help people learn the practices & techniques to excel in their present organization. This program will enable you to take informed business decision, which are critical for today's business & will make you a good manager. MyBskool Mini MBA is being offered through fully Interactive & Collaborative online social learning platform, which make learning even more enjoyable. Anytime, Anywhere access through Laptop, Desktop & Tablet PC. Pre-Recorded video lectures by expert faculties. Forums & Chat Support to clear any doubt of a student. option to upgrade to MMA certification from the 70th day of the course. Self Assessment to enable student to understand where he/she is & where to improve. To give you an idea about the online content, here is a sample video of lecture that we found on Youtube. The mini MBA offered by MyBskool has the following subjects. ThinkBig Edu-Venture (India) Pvt. Ltd.